The Research Wizard comes loaded with multiple databases, up to 12 years of historical data, and over 650 different fundamental data items to pick and choose from. The main screening database (DBCM database) has over 425 different data items just in that database alone. All of the data is smartly organized by Categories and then Items with plain language descriptions. Each item is also assigned a numerical identifier. Grouping them by Categories and then Items is the most logical way to quickly find what you�re looking for. 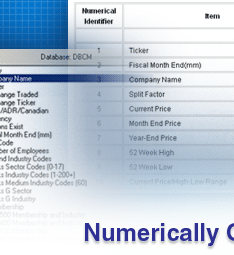 But, once you�ve create a Calculation Expression, only the numerical identifier will be shown. So, when trying to determine what items are being referenced in a Calculated Expression, it�s helpful to have all of the items arranged in numerical order and then by Items and Category. 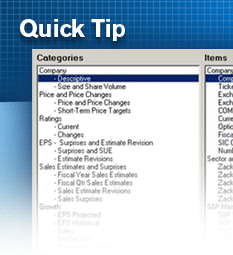 The reverse item lookup in numerical order provided below will come in handy in these instances. Below is a snapshot of the main page showing the Categories and Items windows with the active DBCM database. 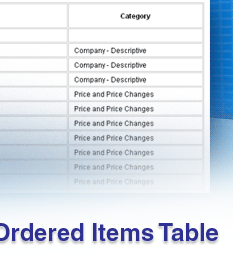 Use the table below to look up each item (item 106 and item 170) to see what the calculation is referencing. And refer back to it again and again for easy lookups. This was pretty easy to find with the above Reverse Lookup Table wasn�t it? Simply bookmark this page for quick and easy access or copy and paste this table into your own Excel spreadsheet so you can have your own copy for even easier access. 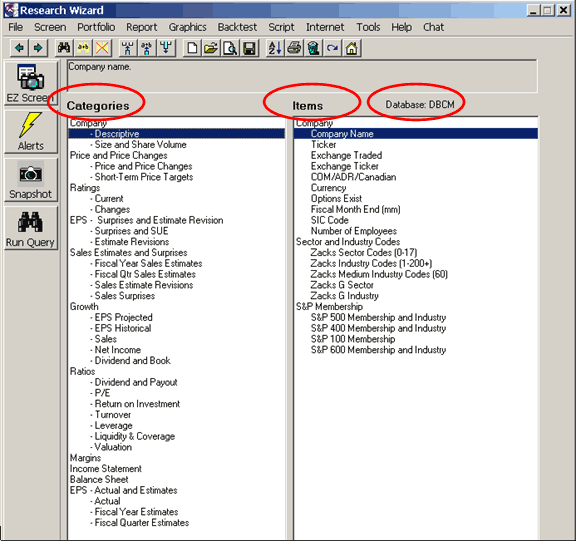 The Research Wizard � power and convenience all at your fingertips.